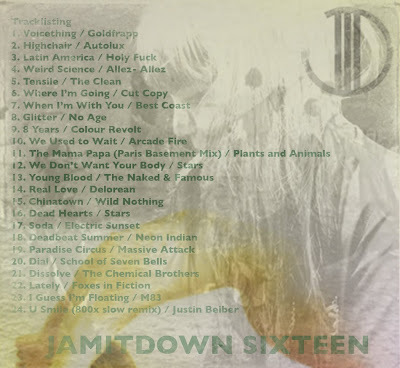 Just to make your Labor Day weekend a little more special, here's JID 16! Who said summer's over? This mix has lots of variety to keep your endless summer alive. I also made sure to include a final track by none other than Justin Beiber. This track is remixed 800x times slower than the original version of his song "U Smile" and I'm happy to say it's 35 min. of ambient waves to lull yourself back into the sun soaked beachy feeling your not ready to leave behind just yet. Such a fan of this mix! Thanks.